IN OUR COLD PACIFIC WATERS; MANY DIFFERENT SEALS, SEA LIONS AND CETACEANS (WHALES, PORPOISE, DOLPHINS). 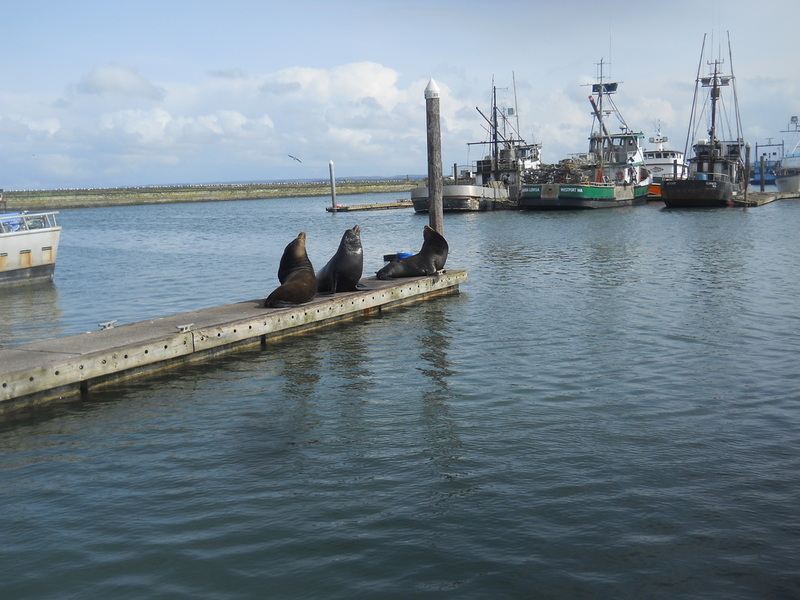 IN THE WESTPORT MARINA, CALIFORNIA SEA-LIONS CAN BE SEEN ON A REGULAR BASIS ON THE DOCKS AT REST. ON THE BEACH, PARTICULARLY IN LATE SPRING, HARBOR SEAL PUPS CAN BE SEEN, WAITING FOR THEIR MOTHERS TO RETURN WHILE THEIR MOTHERS FEED NEARBY IN THE WATERS. A MARINE MAMMAL FOUND ON THE BEACH SHOULD BE LEFT ALONE. A FIND OF A SEAL OR SEA-LION ON THE BEACH IS QUITE EXHILERATING. HOWEVER, IT'S VERY IMPORTANT THAT HUMANS SHOULD KEEP A DISTANCE FROM THEM AND TO KEEP ALL PETS AWAY. 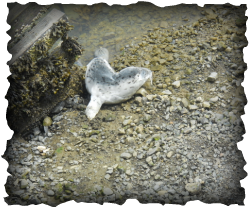 HARBOR SEAL PUPS MAY BE WAITING FOR MOTHERS TO RETURN TO RETRIEVE THEM. OTHER MAMMALS MAY BE SICK OR INJURED IN NEED OF TIME TO REST. CONTACT THE NORTHWEST MARINE MAMMAL STRANDING HOTLINE AT 1-800-853-1964. 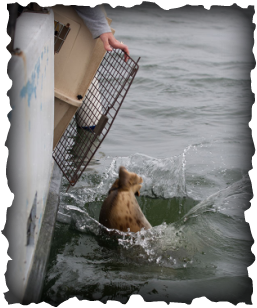 MARINE MAMMALS FOUND IN THE GRAYS HARBOR/SOUTH BEACH AREA CAN ALSO BE REPORTED TO THE WESTPORT AQUARIUM AT 360-268-7070. 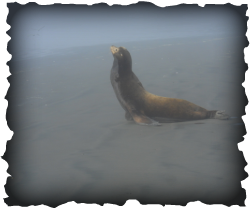 INITIALLY, WESTPORT AQUARIUM STAFF, AS VOLUNTEERS FOR THE NW MARINE MAMMAL STRANDING NETWORK WILL RESPOND TO THE REPORT BY VISITING THE ANIMAL TO MONITOR IT, TAKE PICTURES AND REPORT TO THE NETWORK COORDINATOR AT WDFW. MANY TIMES, THE SEAL OR SEA-LION, RETURNS TO THE WATERS ON THEIR OWN. HOWEVER, IN 2011, AQUARIUM STAFF ASSISTED WDFW & NOAA IN PICKING UP & TRANSPORTING ANIMALS IN NEED OF INTERVENTION, THAT MAY HAVE OTHERWISE DIED ON THE BEACH.